Universal Pictures boasts another action field movie that stars Liam Neeson, Julianne Moore, Nate Parker, Michelle Dockery and Scoot McNairy. Non-Stop, directed by Jaume Collet-Serra, brings in an exciting mid-air flight action thriller based on the screenplay by Christopher Roach and John W. Richardson. Liam Neeson proves well again that he is capable of starring in any action movie that is worth our time and money. This is way much better than Jodie Foster's Flightplan and Rachel McAdams' Red Eye, and a whole lot more serious than Snakes on a Plane. Watch the new trailer of Non-Stop, Starring Liam Neeson and Julianne Moore. 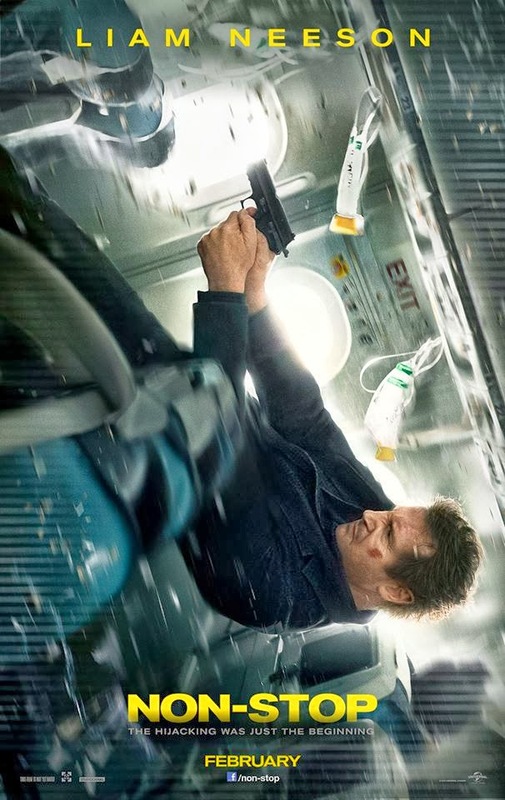 Global action star Liam Neeson stars in "Non-Stop," a suspense thriller played out at 40,000 feet in the air. During a transatlantic flight from New York City to London, U.S. Air Marshal Bill Marks (Neeson) receives a series of cryptic text messages demanding that he instruct the government to transfer $150 million into an off-shore account. Until he secures the money, a passenger on his flight will be killed every 20 minutes. Non-Stop will hit cinemas on February 28, 2014.